A quadriplegic man moves his fingers, hand and wrist. 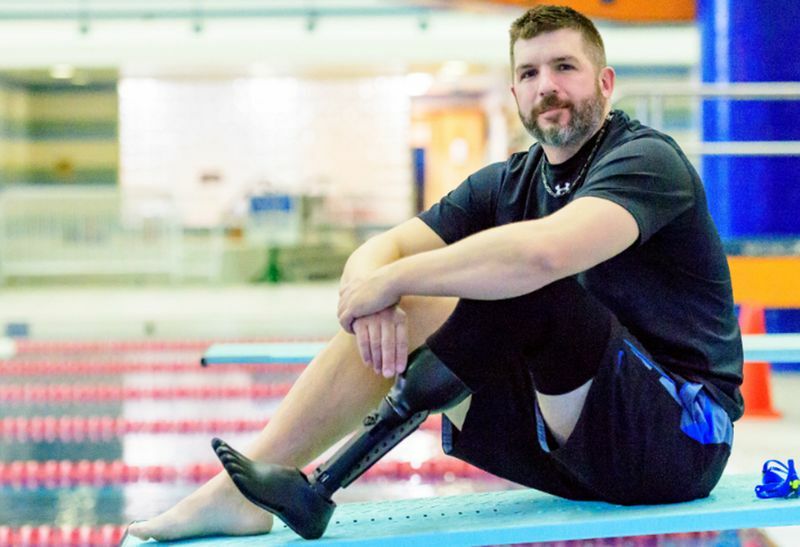 Chad Bouton, Northwell Health’s vice president of advanced engineering, developed the technology in 2015 (prior to joining the Feinstein Institute) that allowed a paralyzed person to regain movement for the first time with this type of device. His lab within the Feinstein Institute’s Center for Bioelectronic Medicine (CBEM) is building on that work. 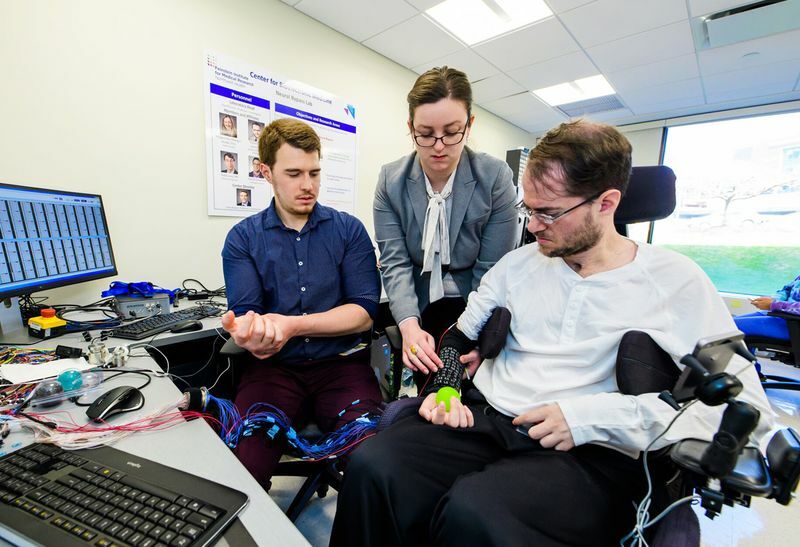 His team of young engineers and investigators is developing technology that decodes and reroutes signals from the brain to the muscles, with applications for spinal cord injury, stroke, traumatic brain injury and other neurological conditions, with a primary focus on paralysis. Bioelectronic medicine, in which the nervous system uses electrical signals to communicate information through the body, was pioneered by Feinstein Institute president and CEO, Kevin Tracey, MD. The Center for Bioelectronic Medicine at the Feinstein Institute for Medical Research comprises six laboratories working together to translate knowledge of the body’s neural code into bioelectronic devices that, when implanted or held against the skin, has the potential to modulate nerve activity, impact organ function and restore health, all without the side effects of pharmaceutical drugs. Susan Karches has seen some amazing advancements during the 10-plus years she’s served on the board of the Feinstein Institute for Medical Research. 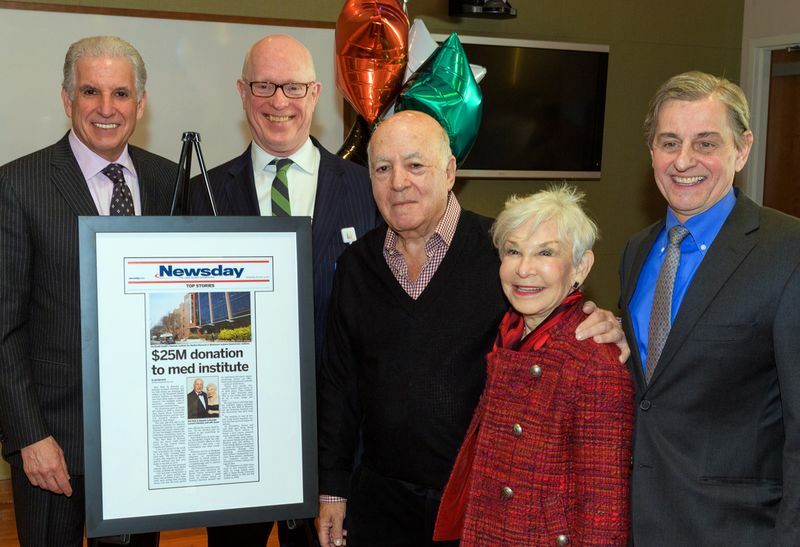 “When Dr. Tracey started to explain bioelectronic medicine to the board as a new frontier in medicine, I felt like I wanted to be a part of that,” Susan says. 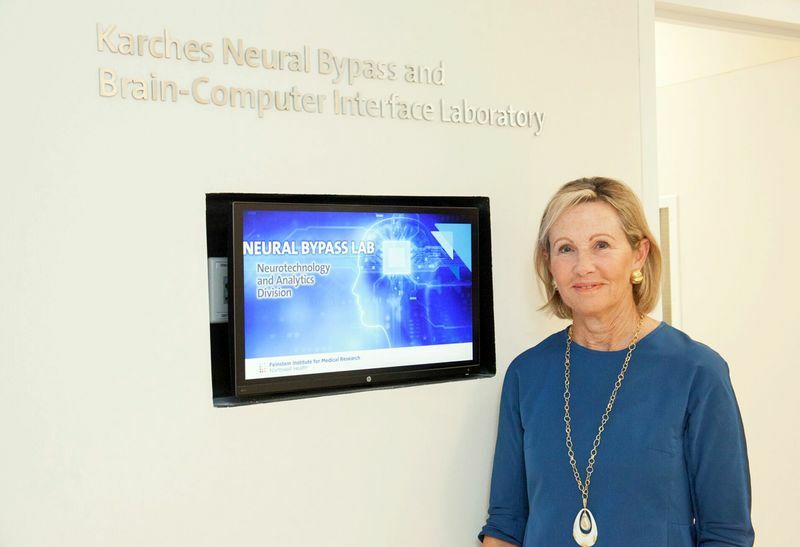 She made a gift to help fund Chad’s new laboratory: The Karches Neural Bypass and Brain-Computer Interface Laboratory. Being involved at the Feinstein Institute, you see the power of research and the brilliant minds of the men and women who work there; you can't help wanting to support what they do.